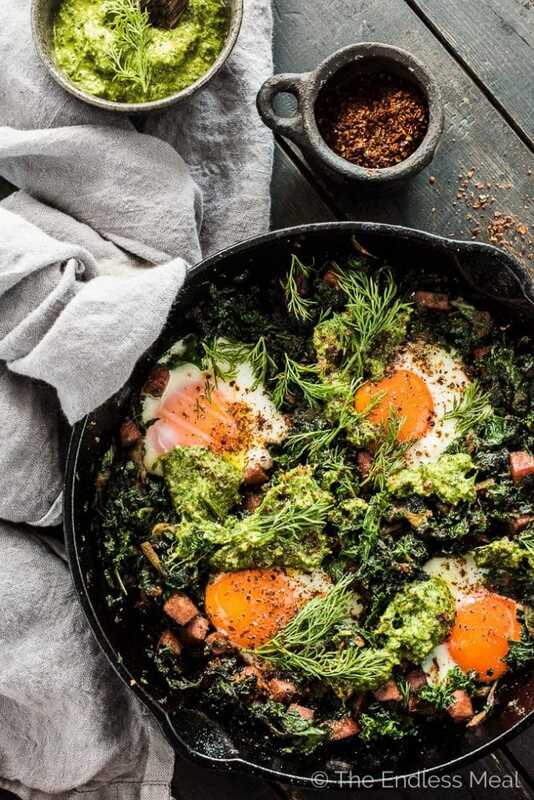 This easy to make green shakshuka is a playful take on a Green Eggs and Ham Recipe. 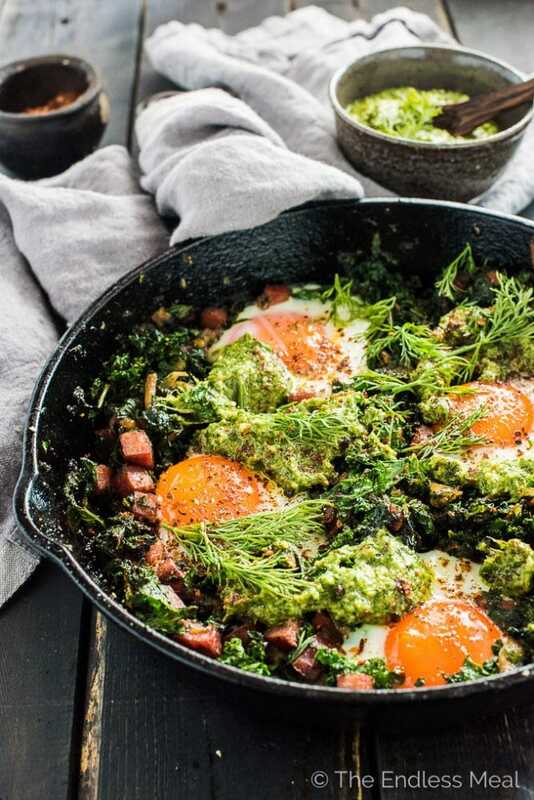 The eggs are nestled into caramelized onions, farmer's sausage, and kale and topped with a delicious lemony dill pesto. This healthy breakfast recipe is bursting with flavor and naturally paleo + Whole30 approved. 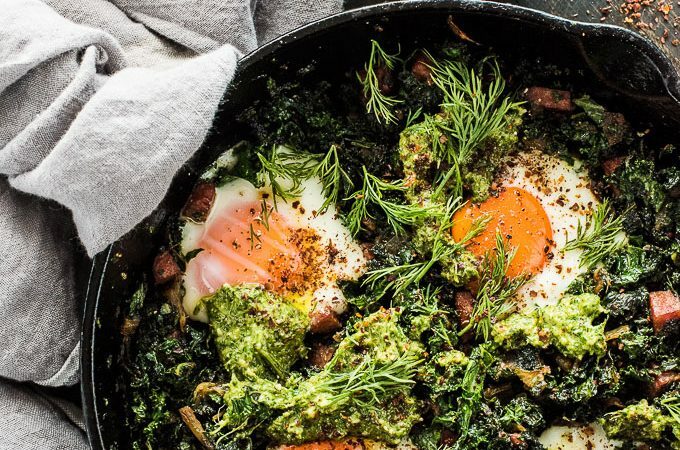 My friends, I made you a green shakshuka breakfast skillet. It's super frickin' delicious. Let's eat! That is all. Except that would be weird if that was really all. It'd be like I jammed from the breakfast table. Full on eat and run. I wouldn't do that to you. 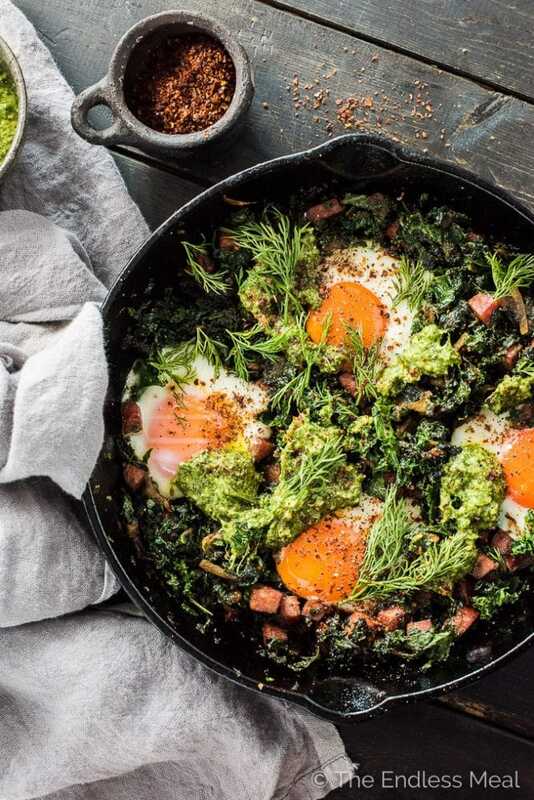 This Green Eggs and Ham Shakshuka was damn near called, “The Best Breakfast I've Had In Ages and Want to Eat Every Day for The Rest Of My Life.” Too much? Ya, I thought so, too. But it sums up how I feel about it a heck of a lot better than green shakshuka. It started out as a St. Partick's Day breakfast recipe. I know we've been taking the whole Irish thing pretty liberally these past few days. Like that Chia Matcha Pudding? Definitely green, but definitely not Irish. This is kind of like that. Green, but not Irish. Trust me, no one will complain when you put this on the table St. Patty's Day morning. To get your Green Eggs and Ham on Dr. Seuss-style you're going to grab your well-loved cast iron and saute onions until they're sweet are caramelized. Mmm mmm good. Then add some ham or farmer's sausage to the pan and let that cook till the edges start to brown and your whole place smells amazing. 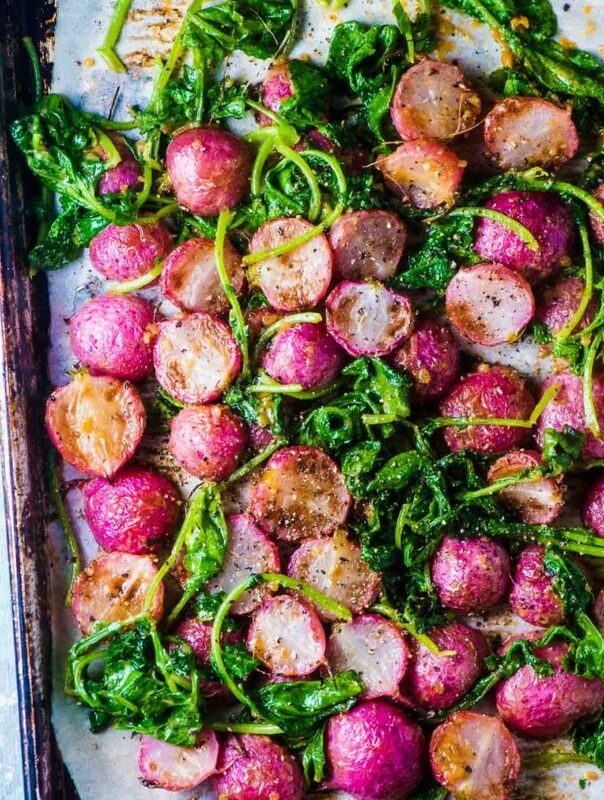 Throw some garlic and spices and a ridiculous amount of kale into the pan and watch some magic happen. That mountain of kale will wilt down to almost nothing and become a thick sauce for you to cook the eggs in. 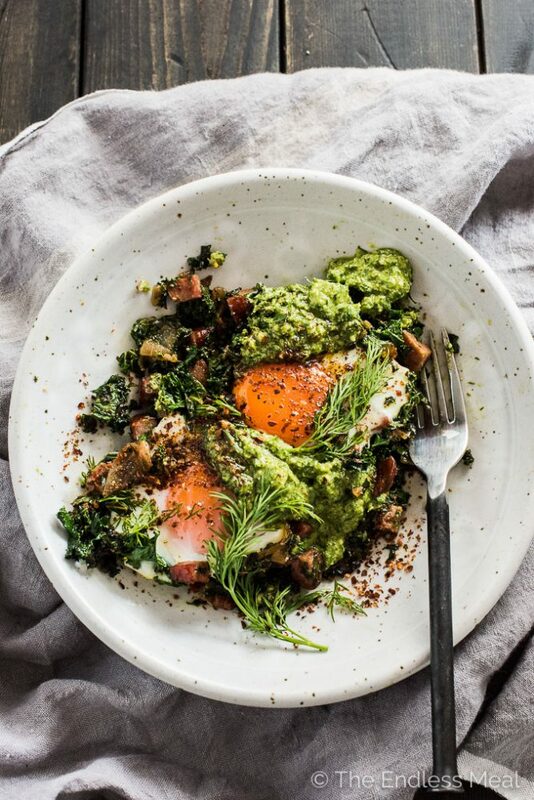 Once the eggs are just barely set, dollop the top with lemon dill pesto, grab your fork, and dig in! So there's this thing I've been thinking of doing. An idea I've been toying with. If you caught my Instagram post yesterday, you'll know what I'm talking about. 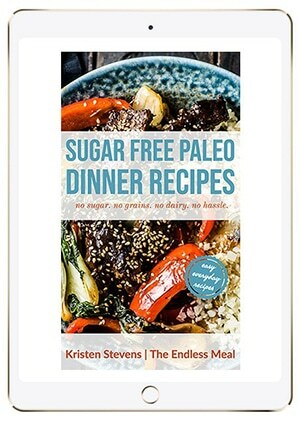 I'm thinking of trying out Whole30. Yikes! Have you done it? Do you love it? Do you hate it? I love the idea. Hello, meat + vegetables = life. But bourbon and red wine also equal life. What's a girl to do? 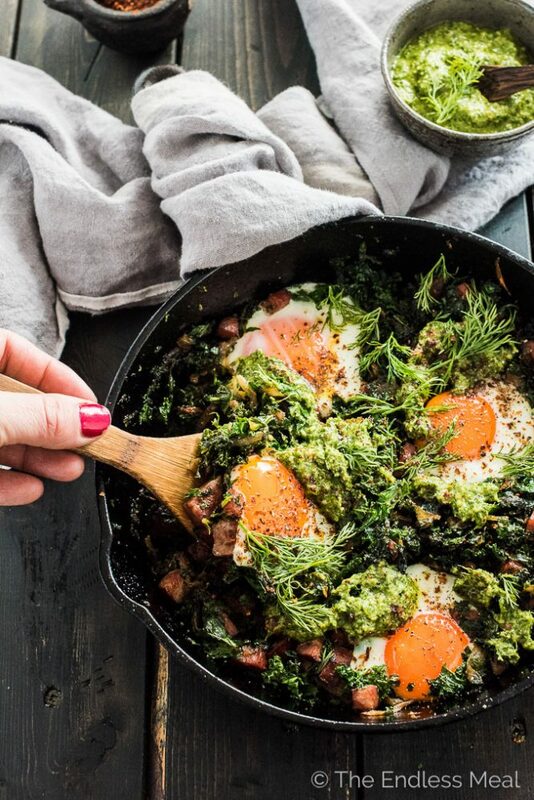 This Green Eggs and Ham Shakshuka mashup we've got going on here is 100% Whole30 approved. It's making me think I should go for it. Who wants to do it with me? If you make this Green Eggs and Ham Shakshuka recipe make sure you snap a pic and tag #theendlessmeal on Instagram so I can like and comment on your photos. I love seeing TEM recipes you create! Place all the ingredients for the Lemon Dill Pesto in your blender or food processor. Process on low until everything is finely minced, but not completely smooth. 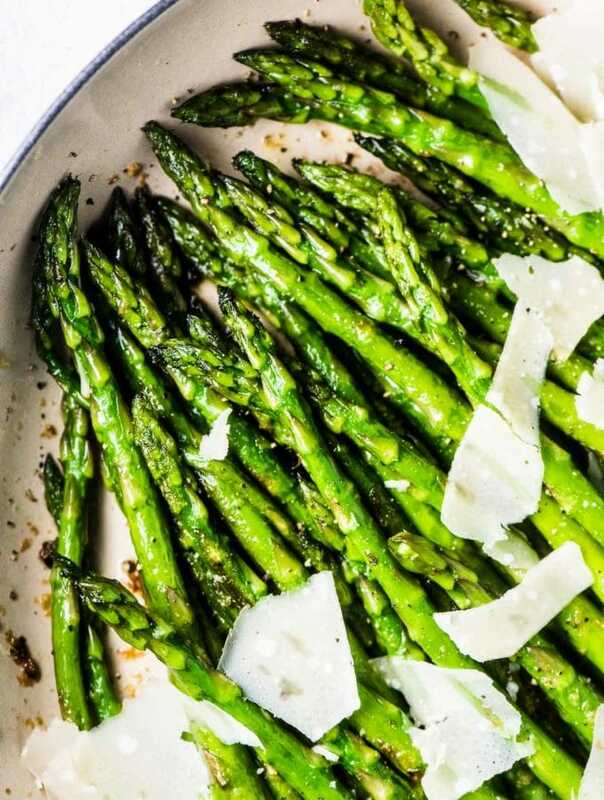 Heat the tablespoon of olive oil in a cast iron or ovenproof frying pan over medium-high heat. Add the onion and cook for 2-3 minutes, until translucent. Lower the heat to medium and continue to cook until the onion is very soft and starting to brown, about 8 minutes. Add the ham or sausage to the pan and cook through, about 5 minutes. Add the garlic, Aleppo pepper, cumin, and sea salt and cook for 1 minute, until the spices are fragrant. Add the kale to the pan and let it wilt. Add the kale in batches if needed, letting some wilt before adding more. Take the pan off the heat and make 4 wells in the kale. Crack the eggs into the wells and place the pan in your oven for 5-7 minutes, or until the white are just set. Note: you can cook the eggs on the stovetop by keeping the pan on medium heat and covering it for 3-4 minutes. The only difference is the eggs will turn cloudy this way. They will taste the same. Serve the green shakshuka topped with the lemon dill pesto, and any or all of the optional toppings. In recipes where eggs are the main feature (like this one), it is important to use the best quality eggs you can buy. Inexpensive eggs tend to be flavorless. For the prettiest eggs, you can crack an egg into a fine mesh sieve and let the excess whites drop through. The result will be a tighter egg with fewer runaway whites.